If you’re looking for a fantastic way to promote your birthday party, look no further! 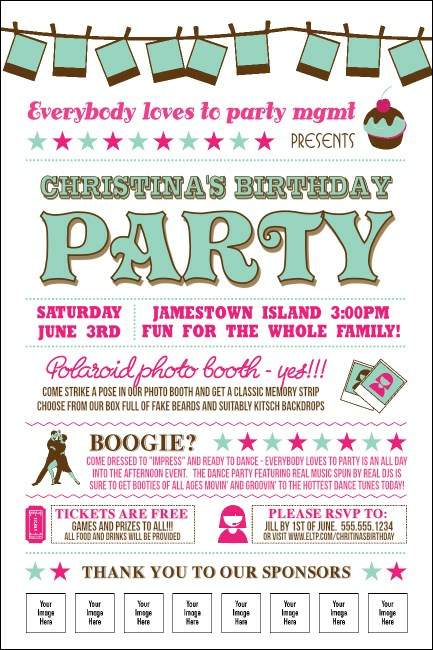 Birthday Whimsical Posters are the perfect way to advertise your party in advance. With room to upload eight of your own personal images, and a fancy, colorful design, these Posters are where advertising meets fun. You can have your cake and eat it too at TicketPrinting.com.